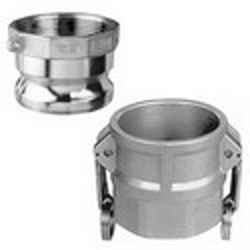 Camlock Couplings works on CAM & Groove locking systems. We Provides leakproof connection without use of any tools, in seconds. It is widely used for bulk materials transfer of Oil, water, Acids, Powder, Semi solids, Paste, & Viscous fluids. 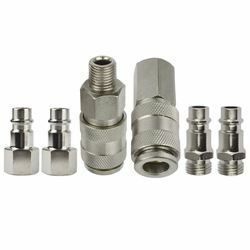 Owing to the immense experience and a competent team of experts, we are able to offer Camlock Adapter Female to respectable clients. 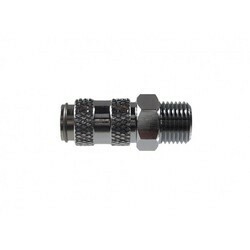 These camlock adapter female offered by us are made utilizing high grade stainless steel, brass and aluminum, sourced from trustworthy vendors of the market. 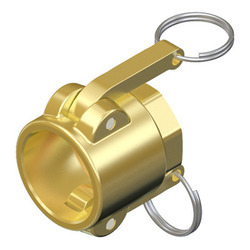 In addition to this, the offered range of camlock adapter female is available in size 1/2" to 8". 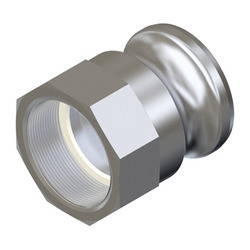 these products are also widely appreciated among the clients for quick connection, which renders leak free and highly reliable sealing. 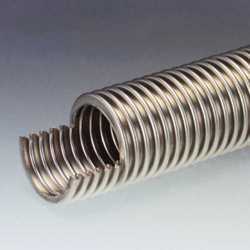 The company offers precision machined Straight Through Quick Coupling. 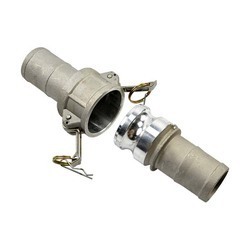 Straight through coupling are widely brought in to application in various industries and provide leak proof connectivity. High Pressure Coupling of straight through type is available in different sizes and end connection combination for high pressure applications. Note : The Product Prices Vary From Rs 250 Per Piece Onwards. 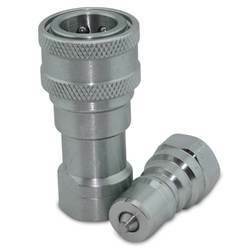 We offer Miniature Quick Coupling which are precision machined for pneumatic application. Miniature quick coupling are appreciated for their low maintenance, easy assembly, and quick connection. We are a reckoned enterprise, which is engaged in delivering Coupler Female to the clients. The offered range of coupler female is made utilizing optimum grade raw material and innovative technology in strict conformation with the international quality norms and standards. Along with this, the offered range of coupler female is available in number of customized dimensions and other specifications as per the diverse requirements of clients. B.S Hydro-Pneumatic Private Limited, is engaged in manufacturing exporting and supplying an extensive range of hydraulic and pneumatic products like quick disconnect couplings,hydraulic couplings, Pneumatic quick couplings, tube fittings, camlock couplings, hose fittings and hose assemblies. We also offer high pressure quick coupling, fittings, needle valves, ball valves and precision turned components. We are a team of experienced and qualified staff that are sensitive to customer requirementOur range of products meets various product standard like ISO-A, ISO-B, DIN, NFPA, ANSI B16 etc. Our products are commonly used in railways, pharmaceuticals, defense, fertilizer, petrochemicals and other industries. With the in-house resources and team, we constantly improve our product service and quality. We work closely with user to understand the demand and critical of application. We then offer the right product out of over 5000 different combination of quick coupling range. We carry over 2 decades of industrial application and machinist experience to offer a customize solution to demand application. We have been recognized by our customers as a reliable support through our dedicated customer centric business approach .